The Bachelor of Rural Health Care (BRHC) course is a new venture in the field of medical science. There are number of medical or engineering institutes in the country offering BRHC programme into their curriculum. The educational programme is considered equivalent to the MBBS Course. 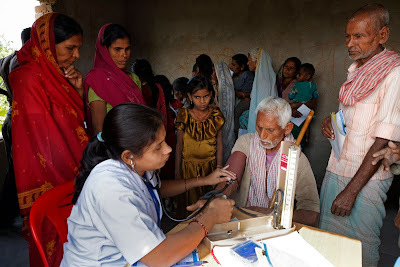 The Bachelor of Rural Health Care (BRHC) program will cover various health problems of the society, basic principles of diagnosis and prevention of common rural ailments like malaria, hookworm, anemia, diarrhea and TB. To be eligible for BRHC programme, one has to pass higher secondary certificate examination (10+2) from areas or districts and the admission will be decided after the performances of the students in an entrance examination. After pursuing this course, the aspirant can seek his or her admission in government sector under National Rural Health Mission Scheme. TAGS: Bachelor of Rural Health Care (BRHC) course, top institutes for BRHC program, best institutes for Bachelor of Rural Health Care course, scope of BRHC course.